A Wisconsin company bought the world's leading brand of paper straws Wednesday. The acquisition came at a time when many businesses are doing away with plastic straws in an effort to be more environmentally friendly. The idea is still up for debate. "I would rather have the reusable plastic straws than the paper one's because I know they're decomposable," said Rakhi Winston. "From what I've heard they're gummy and they don't like they're chewy so it's kind of awkward," said Daniele Schiff. 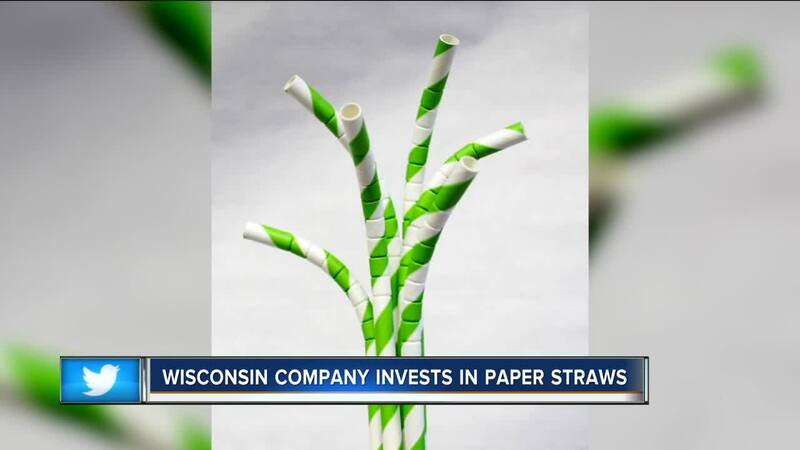 Not everyone is convinced, but an Oshkosh-based company is capitalizing on the paper straw trend. Hoffmaster Group Inc., most known for making paper plates and napkins, bought Aardvark straws. The company president and CEO said the acquisition has been a long time coming. They've had their eye on the trend for about a year and have been a customer of Aardvark for five. "There's been a movement over the course of the last several years to get people to switch from plastic straws to paper straws we started to get requests from our customers and thought this was a great opportunity," said Rory Leyden, President/CEO Hoffmaster. Aardvark is the only paper straw manufacturer in the United States. The company sells the straws all over the world. Leyden said Aardvark straws are more durable than others. "It doesn't sort of unwind when it's in your drink or fall apart nearly as quickly as a lot of other paper straws," said Leyden. Cafe Corazon has been offering customers compostable straws for years. The manager at the Riverwest location is in the process of switching to Aardvark straws. "So many paper straws end up breaking down as soon as they touch liquid they're not great to drink out of so it's nice and easy to make a switch when it's actually something that will hold up in a drink," said Alicia Roy, Cafe Corazon. Roy said it's an added bonus the straws are owned by a Wisconsin company. "I think it's great that there's a brand that's trying to do more to paper straws while maintaining quality," said Roy. Hoffmaster hopes the acquisition will bring new jobs to Wisconsin. The majority of straw production will remain in Fort Wayne.